Beautiful peaceful two bedroomed Gite on three gite complex with owners on site. 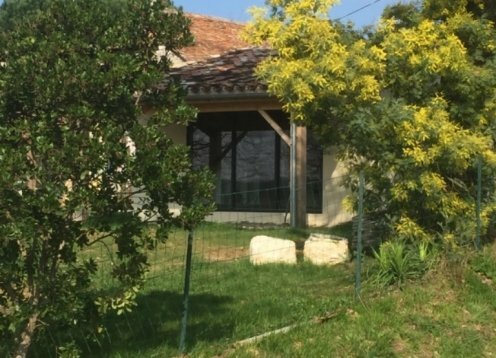 The property is on the edge of the beautiful ville of Piegut Pluviers in the north Dordogne. Close to all amenities. La Cipière offers three characteristic holiday homes (gîtes) which are available for rent. Ever wondered what happens to people on reality shows? Gite Georgette was featured on 'A New Life in the Sun', when she was just bare walls and a tiled roof. We have for rent a Gite in our fenced in garden. As dog owners we welcome other pet minded visitors but request that you check with us first before making a booking.